We can perform bronchalveolar lavage, PCR testing of nasopharyngeal swabs and serological blood testing to diagnose respiratory viruses and bacteria. We can test faecal samples for parastic, protozoal , viral & bacterial causes of scour. We can work with you to create a farm-specific health plan aimed at optimising growth rates and minimising disease rates. Ventilation and building design are essential to calf health and minimising diseases like pneumonia. We can measure up, calculate and advise on optimum air inlet / outlet space, forced ventilation, lighting, feed space and pen stocking rates. 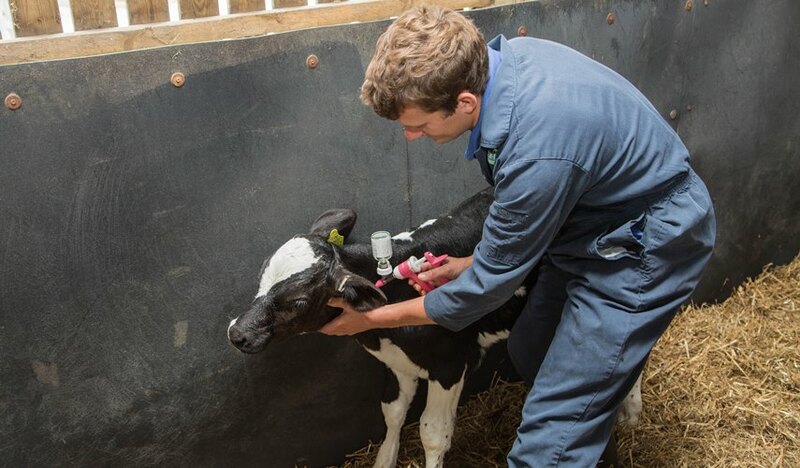 Using our mobile calf weighing crush (and weigh bars for older stock) we can offer regular or spot-check visits to calculate and analyse the growth rates being achieved on your farm. We can then use the results to work with you and your nutritionist to optimise the diet and system, thereby maximise your feed conversion efficiency. We have successfully implemented a number of farm-specific vaccination programs on calf rearing units aimed at reducing the incidence of diseases like pneumonia. Where necessary we use diagnostic tests to identify causal viruses & bacteria to guide vaccine choice.